Left back not wanting to be left out. 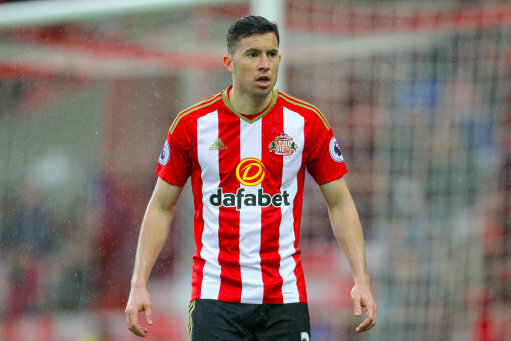 Costa Rican international Bryan Josué Oviedo Jiménez has now decided that he fancies staying on at Sunderland after looking to leave. Oviedo first announced that he would be looking to head for door in the premiership shortly after the Black Cats relegation was confirmed. But it seems now that he is happy to stay on and help Sunderland’s revival bid to get back into the premiership. The left back signed for Sunderland long with Everton partner Darren Gibson when they were rock bottom of the league, knowing fine well there were highly likely to go down.